If you're Haitian, you definitely know about that "diriz djondjon". If you're not Haitian, the concept of rice that takes on a black color may probably be completely new to you and sound a bit strange. 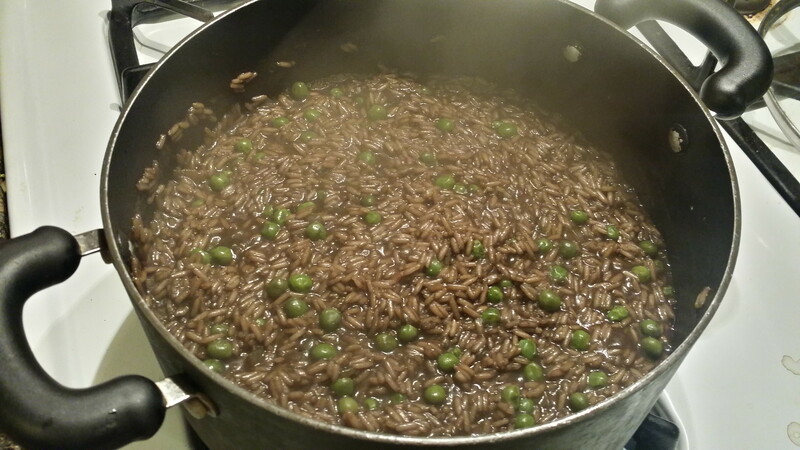 Whether you're Haitian or not, if you've tried this, you know that this rice is pretty awesome. 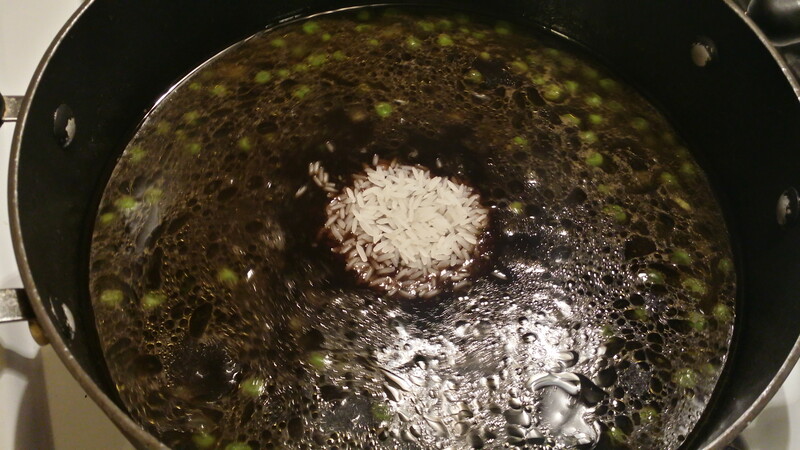 So, what gives the rice such a deep, dark color? 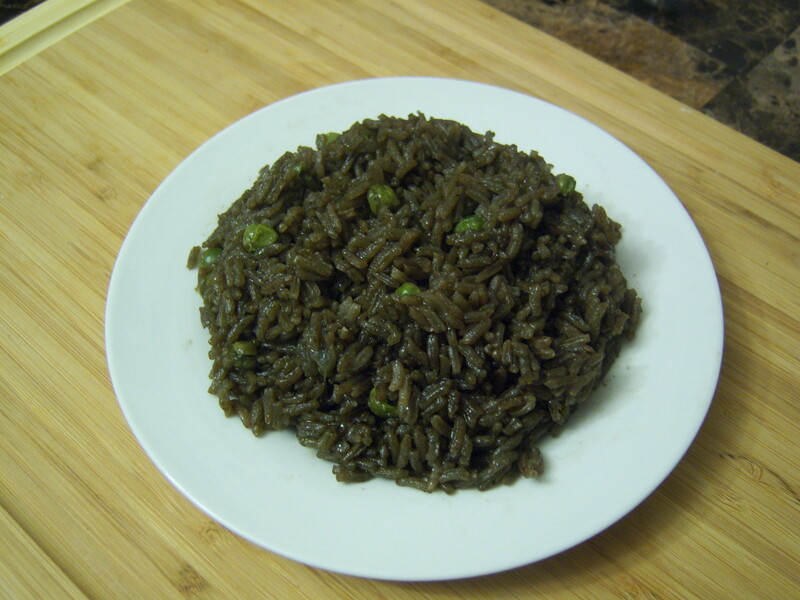 Djondjon is a black mushroom found in Haiti that lends rice it's dark color along with an earthy, delightful and distinct flavor. This particular mushroom is not easily found at your local grocery store. Where I currently live, it's practically non-existent. I have to rely on my friends and family in Florida to send me some djondjon when I run out. However, if you're so inclined to try this out (which of course, I highly recommend), you can easily order some online. My husband's coworkers used to jokingly ask him when would he bring in some Haitian food for the team. Mind you, for some of his coworkers, my husband was the first Haitian they've ever met, and they have never in their lives had Haitian food. When my husband asked me to make something for him to bring to work, Diriz Djondjon immediately came to mind. It's an authentic, traditional recipe that is native to the country of Haiti. I made a large tray of this along with some "Griot," "Pikliz", and sauce. My husband called me during his lunch time to tell me that they loved the food so much that the entire thing was gone! One guy was extremely picky because he claimed he hated mushrooms. It just took him one bite to change his perspective. My husband also told me that several of his coworkers asked for the recipe to some of these dishes and thus was another motivating factor for me creating this website. You just gotta try it!! As mentioned in my Welcome page, a lot of Haitian recipes aren't just a quick fix. They do take some time and there are moments you've really got to put your foot into it. Sometimes the deeper you dip that foot, the more worth it the dish becomes. Luckily with Diriz Djondjon, there's both the "long" way and the "short" way. 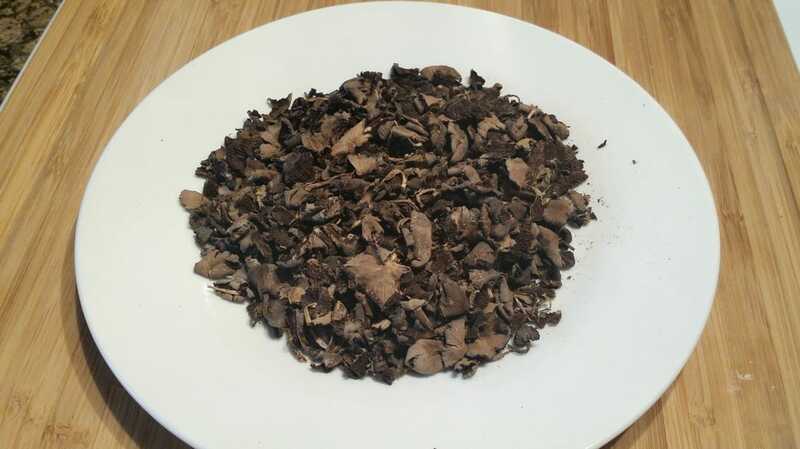 The "long" way is preparing it with the actual dried black mushrooms where you have to go through a steeping/soaking process. 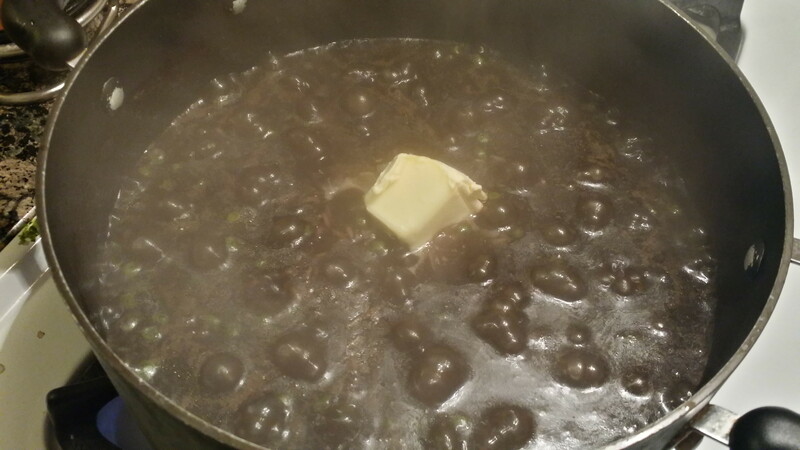 The "short" way is using Djondjon Maggie cubes and avoid the hassle of dealing with the mushrooms themselves. I'll show you both. There are also several variations of this such as with shrimp and whatnot. This is a simple, yet delicious variation to provide you with the basics. In the future, you can always play around with it and make it your own. 1. To 4 cups of water, add 1 cup of djondjon. Let it soak a few hours or at least overnight. The longer it soaks, the better the flavor. This process is what turns the water black and provides the water with it's distinct mushroom flavor for the rice. 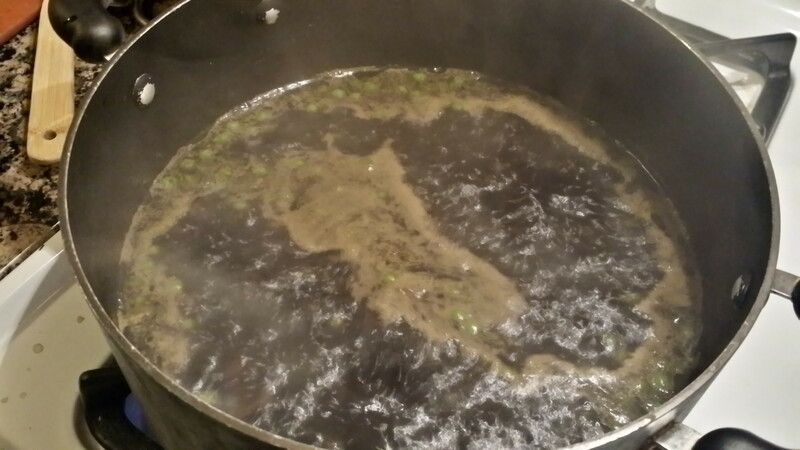 Another option is to bring the water to a boil then let it simmer for about 10 - 20 minutes. You would have to take care for the liquid not to burn off, especially if you let it boil or simmer for too long. Soaking it overnight is best. 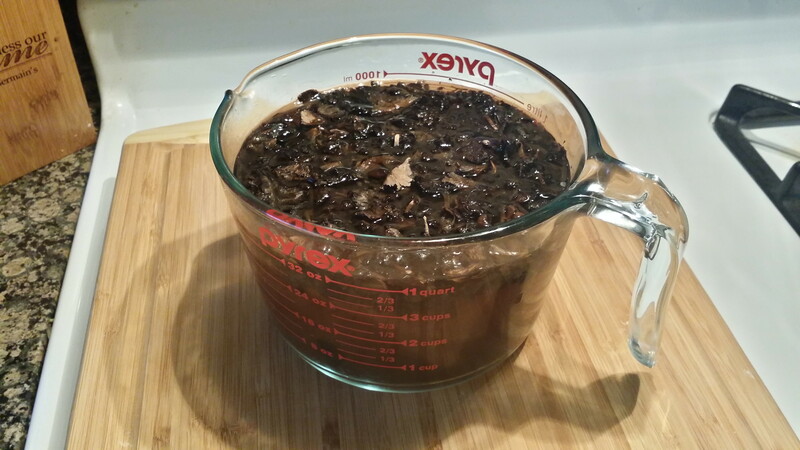 After the soaking process, strain the water to remove the mushrooms. Set the liquid aside for at least 10-20 minutes for any large particles to settle. 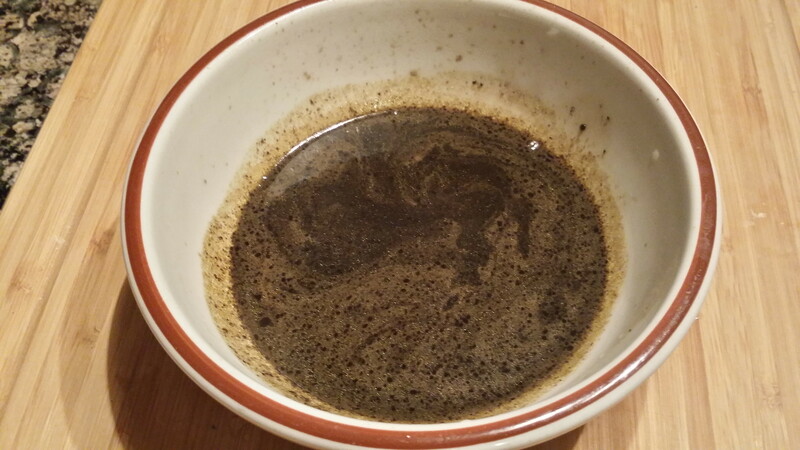 Pour the liquid into a separate container leaving behind as much of the particles that settles to the bottom. If you're using the Djondjon Maggie, this entire step can be skipped and you can start with step 2. 2. In a large pot, place 4 tbsps. of vegetable oil, enough to coat the bottom, 1 diced onion, 3 tbsps. epis, and saute on medium high heat until translucent. If desired, you can also add in your minced scotch bonnet at this time. It will make it very spicy. For a more mild flavor, wait until you add the water and put in the pepper whole. 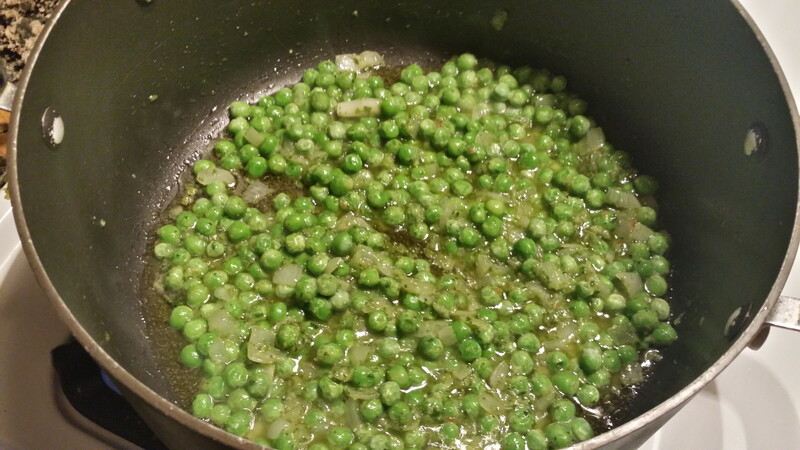 Add in about 1 cup of frozen sweet peas OR lima beans OR pigeon peas. Diriz djondjon is typically made with one of these three types of beans. This time around, I've decided to use sweet peas. I highly recommend using the frozen kinds rather than from a can. Saute the sweet peas for about 2 min. 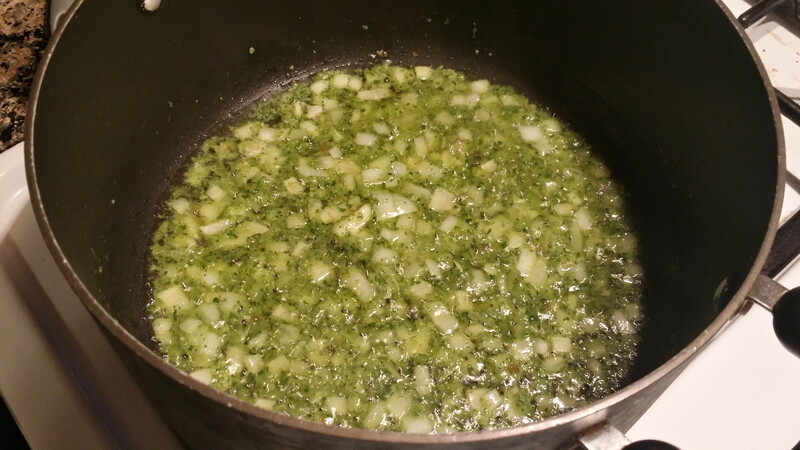 If using lima beans or pigeon peas, saute longer for about 5 min. Be sure to stir frequently to avoid it from sticking to the bottom of the pot as well as burning. 3. Add the djondjon liquid to the pot with an additional 1 - 2 cups of water and bring to a boil. If using frozen pigeon peas, you will want the water to continue to boil for about 10 minutes to allow them to fully cook. 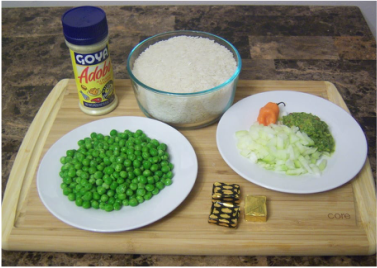 Before adding the rice, be sure to check a pigeon pea and ensure that it's tender. With the sweet peas, this step of sauteing and boiling longer is unnecessary because sweet peas cook fairly quickly and will continue to cook as the rice steams. If you are using djondjon maggie cubes instead, you will add 5 - 6 cups of water to the pot in this step (depending on your preference for tenderness of the rice). 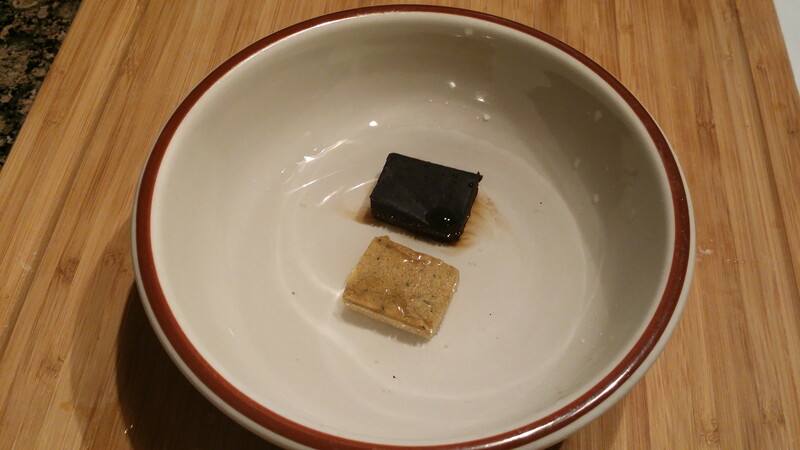 Below is a demonstration: 1/4 cup water in a bowl with your maggies and microwave it for 30 seconds. Then, take a fork to crush and mix so that they will completely dissolve. Remember, 1 Chicken Maggie and 2 Djondjon Maggies if doing this without real djondjon. If it was real djondjon, then you would only have 1 Chicken Maggie in the bowl to dissolve. 5. Once the water has come to a boil, pour in 3 cups of jasmine white rice. 6. Mix to combine everything in the pot and return to a boil. Taste the water to make sure the flavor is to your liking. You can add 1 tsp. of Adobo and/or salt to taste. Continue to mix every 2 -3 minutes as the water starts to dry up. When the water level is still slightly above the rice (approximately 5 minutes after adding rice), turn the heat down to medium and add 3 tbsps. of butter. Stir until it melts and well incorporates. Continue to cook (stir every 2 -3 minutes) until liquid dries down to the level of the rice, usually about another 5 minutes. If you used a whole scotch bonnet pepper, you would also remove it at this time and discard it. At this point, turn the heat to low and cover the pot. Keep the pot covered for about 20 minutes and resist the urge to lift the lid during this time. Note: When the rice is being steamed/cooked with the lid covered, we refer to this as "toufe". This literally translates to "choke" in English. This is considered a very important step and must be done to ensure that it's cooked properly through. When the rice is ready to be covered, you take a clean plastic bag and cover the rice to ensure that no steam escapes, then cover the pot with the lid. My grandmother did this all the time. At first, I thought it was the strangest thing but Haitians swear by this. I used to do it too but then I got lazy and skipped the plastic bag. I find that this step is more important if you are making a lot of rice in a much larger pot, which is what we had growing up. Hey, 11 kids and with friends and family over, very large pots in our home was a necessity. 7. After 20 minutes, turn off the stove and let it sit covered for about another 5 minutes. Remove lid and your Diri Djondjon is ready to be served. What do you think of this recipe? Which bean do you usually use? What do you like to pair this with?